Which tool will help you target your audience more effectively? Determining the most suitable platform to engage and target online customers is one of the most critical tasks for businesses. What should you do to lure drop-in visitors, new buyers, and loyal customers into obtaining your products? Today newsletters and push notifications are probably the most popular and effective channels of communication with the online audience. These tools allow delivering relevant information directly to those customers who actually are interested in it. However, it is quite challenging for entrepreneurs to define a tactic that will cater their needs better and bring the higher ROI. Exploiting the chosen channel without being intrusive is another skill online businesses should master. So, should you take advantage of email marketing or are push notifications the best fit to reach out to your customers? There is no definite answer to this question. In this post, we will compare the two to find out when each option works better for an ecommerce business. Email has been one of the most popular marketing channels for years. 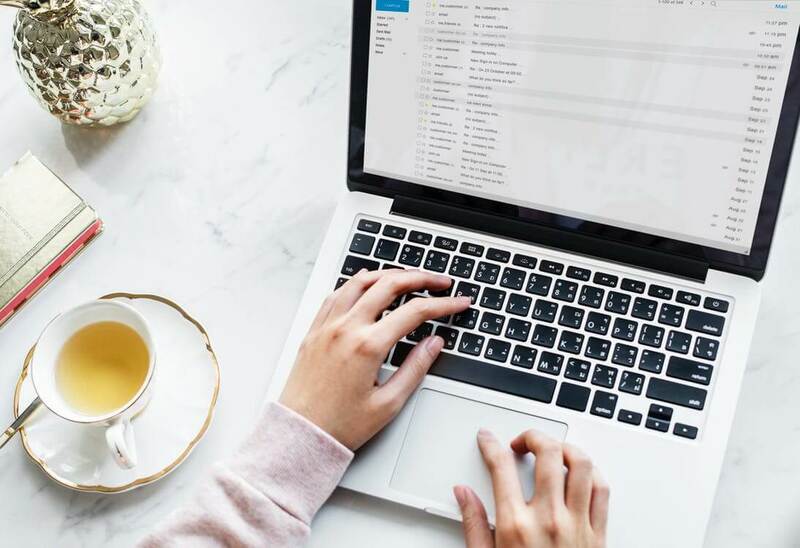 Even though modern marketers consider it old-fashioned, emails still remain an important tool to maintain relationships with customers. They provide an opportunity to deliver personalized, highly targeted content to subscribers and entice them with irresistible deals. Besides, you can hardly deliver important messages like account verification, password updates, and other critical information via another communication channel. According to a recent study by MailChimp, emails have quite a low open rate – it’s only 15,66% for the ecommerce industry. However, since email marketing provides different personalization and segmentation options, it is possible to split the customer base into smaller groups and deliver the content relevant to each of them. When doing so, marketers get a 14.32% higher open rate and a 100% higher click rate than generic, non-targeted emails. Emails also work perfectly when you want to share a long piece of content with your сcustomers. You can deliver a full-length quality article via email if needed. This way you can build loyalty and trust among your devoted subscribers. And, of course, customers usually subscribe to email newsletters looking to get access to exclusive deals and discounts. Accordingly, marketers tend to provide discount codes in email copies linking them directly to product pages to get new leads, encourage previous buyers to make another purchase or recover abandoned carts. Email marketing is able to deliver outstanding results to ecommerce business owners. It can bring up to 3,800% ROI, which means you can earn $38 for every $1 spent. But to achieve that, it’s highly important to establish a well-thought-out and data-driven strategy and adjust it with the course of time according to customer requirements and market conditions. 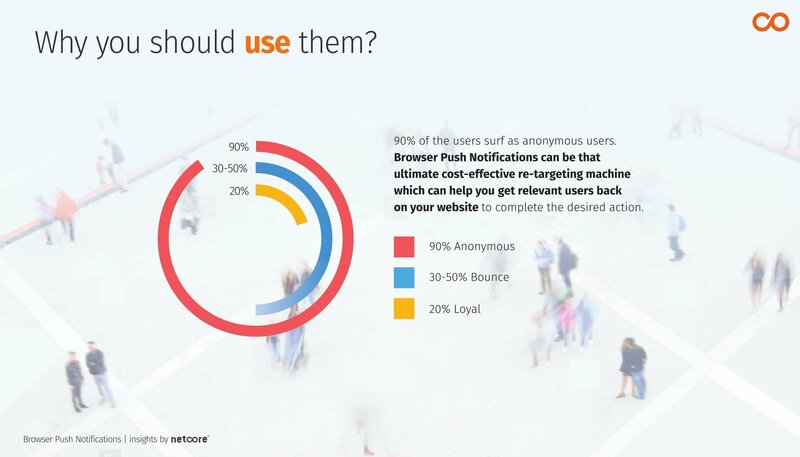 Web or browser push notifications are clickable pop-up messages that can be sent to website visitors via desktop or mobile web browsers. The average web push notification’s reaction rate for the ecommerce industry is 27% thanks to the high visibility of messages. Notifications are displayed on the user’s screen anytime the browser is open, even if they close the website that is sending these messages to them. Thus, you can share relevant information with visitors regardless of whether they are browsing your website or not. And customers do not have to install any specific application to receive and engage with them! Web push notifications provide an opportunity for retailers to reach out to the desired audience as have higher open rates than email. And enabling push notifications in ecommerce platforms like Magento is really easy. The only thing you have to do is create a strong call to action and place the information that is truly relevant to your visitors. Links to product pages and media files can be added to the notification just as in an email message. Well-designed push notifications instantly engage website visitors, whilst they do not interfere with their activity. If a customer is not interested in the message, he or she can simply close it. While emails can easily land in the spam folder, push notifications allow delivering the information times faster. Another significant advantage of web push notifications is their GDPR compliance. You don’t need any personal data for delivering push notifications to a browser rather than a user’s IP address. This means you can remain fully compliant with the GDPR requirements when leveraging this marketing tool. There is no silver bullet when it comes to creating an omni-channel marketing strategy for your store. Multiple factors affect the efficiency of your marketing efforts, and you can never predict which decision will result in a huge success. 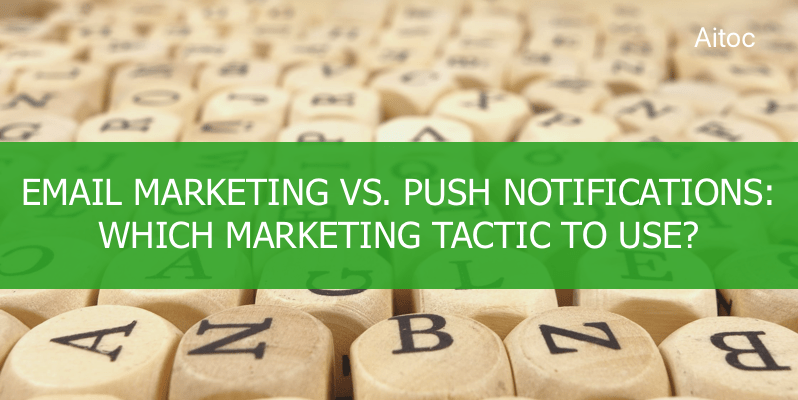 Both email marketing and web push notifications are widely used, yet both of them have their pros and cons. However, by combining the best of two, you will definitely find the option that works best for your business. We hope that our article will be of a help in your future endeavors. Good luck! In case you’re looking for a solution to implement push notifications at a Magento-driven store, check out our extension – Web Push Notifications for Magento 2.